Larch often thought that if it had not been for his newborn son, he never would have survived his wife Mikra's death. It was half that the infant boy needed a breathing, functioning father who got out of bed in the mornings and slogged through the day; and it was half the child himself. Such a good-natured baby, so calm. His gurgles and coos so musical, and his eyes deep brown like the eyes of his dead mother. Larch was a game warden on the riverside estate of a minor lord in the southeastern kingdom of Monsea. When Larch returned to his quarters after a day in the saddle, he took the baby from the arms of the nursemaid almost jealously. Dirty, stinking of sweat and horses, he cradled the boy against his chest, sat in his wife's old rocker, and closed his eyes. Sometimes he cried, tears painting clean stripes down a grimy face, but always quietly, so that he would not miss the sounds the child made. The baby watched him. The baby's eyes soothed him. The nursemaid said it was unusual for a baby so young to have such focused eyes. "It's not something to be happy about," she warned, "a child with strange eyes." Larch couldn't find it within himself to worry. The nursemaid worried enough for two. Every morning she examined the baby's eyes, as was the unspoken custom of all new parents in the seven kingdoms, and every morning she breathed more easily once she'd confirmed that nothing had changed. For the infant who fell asleep with both eyes the same color and woke with eyes of two different colors was a Graceling; and in Monsea, as in most of the kingdoms, Graceling babies immediately became the property of the king. Their families rarely saw them again. When the first anniversary of the birth of Larch's son had come and gone with no change to the boy's brown eyes, the nursemaid still did not leave off her muttering. She'd heard tales of Graceling eyes that took more than a year to settle, and Graceling or not, the child was not normal. A year out of his mother's womb and already Immiker could say his own name. He spoke in simple sentences at fifteen months; he left his babyish pronunciation behind at a year and a half. At the beginning of her time with Larch, the nursemaid had hoped her care would gain her a husband and a strong, healthy son. Now she found the baby who conversed like a miniature adult while he drank at her breast, who made an eloquent announcement whenever his underwrappings needed to be changed, positively creepy. She resigned her post. Larch was happy to see the sour woman go. He constructed a carrier so that the child could hang against his chest while he worked. He refused to ride on cold or rainy days; he refused to gallop his horse. He worked shorter hours and took breaks to feed Immiker, nap him, clean his messes. The baby chattered constantly, asked for the names of plants and animals, made up nonsense poems that Larch strained to hear, for the poems always made Larch laugh. Larch was utterly happy. He couldn't remember why his wife's death had saddened him so. He saw now that it was better this way, he and the boy alone in the world. He began to avoid the people of the estate, for their tiresome company bored him, and he didn't see why they should deserve to share in the delight of his son's company. kasmira - In Dells, nothing is at peace. King Nash is clinging to his throne, while the north and the south kingdoms plan to overthrow him. In the mountains spies roam through the forests. And in these mountains lives Fire, a imaginably beautiful girl. Her father and Nash's father ruled before both of them died. Fire decides to come down to Dells to help save their kingdom. With her she brings Arches her best friend, who is known for his archery. There she meets Brigan, the Dells armies commander. Throughout this book there is romance and thriller battles. This is a segue to Graceling, but you don't have to read Graceling beforehand. Gr 9 Up-This fantasy, shot through with romance and suspense, is set in the same world as "Graceling" (Dial, 2008), but on the far side of the mountain barrier in the kingdom of the Dells. Here there are monsters, enhanced and exceptionally beautiful versions of various animal species. Fire is a human monster, so beautiful that she has to hide her hair for fear of attack by both raptor monsters and human men. She is able to enter other people's minds and exert power over them. It is a tumultuous time in the kingdom, as various lords are preparing to overthrow the king, and Fire is drawn into the fray. With a larger cast and a more complex canvas than "Graceling", the story begins slowly and takes its time establishing itself. Fire's path is not immediately clear, and although full of action, her quest is largely internal. While the plotting is well done, there are a few quibbles about Cashore's world-building and about the role of a major character from "Graceling", Leck. 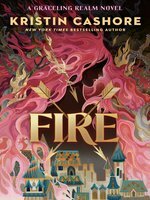 But, this is Fire's story, and readers will fall in love with her as she struggles with her pivotal role in the war effort as well as her complex relationships with her oldest friend and lover, Archer; with Prince Brigan, whose mind is closed to her and who becomes central to her life; and with her monster father's fearsome legacy. 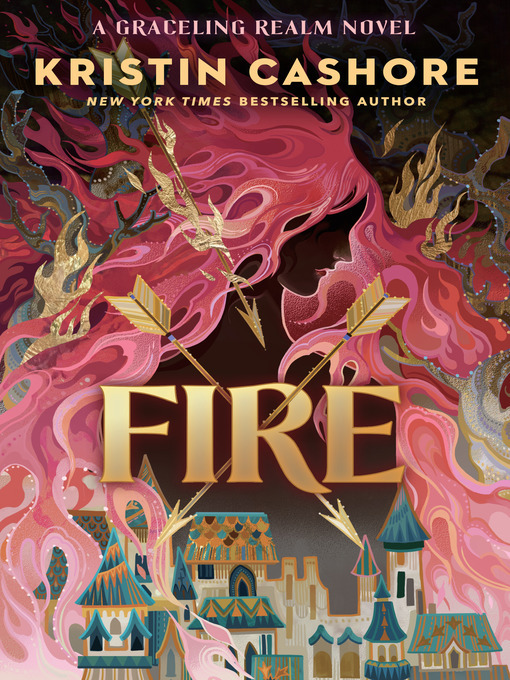 More adult in tone than "Graceling", this marvelous prequel will appeal to older teens, who will not only devour it, but will also love talking about it. "Sue Giffard, Ethical Culture Fieldston School, New York City"